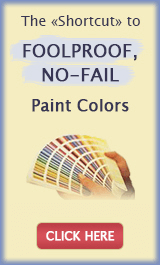 Are you a professional house painter, interior decorator or a color consultant who can also write? Would you like to earn a part time income from home and promote your local business/service to your target market at the same time? 1) These painter and interior decorator jobs are freelance writing positions where you work from home in your own spare time and submit your writing over the Internet. 2) You will be paid per each article you write (length standard is 800 words). We pay via PayPal within 24 hours of acceptance. 3) In addition to that, as a contributing expert, you will receive a professional profile on our website. Your profile will consist of several pages where you can promote yourself and your services, showcase your work by posting unlimited photos with project details, provide testimonials, list your rates, contact info, etc. Think of your profile as your personal website right here on our site (you can even get a mini blog with it - just ask). 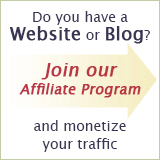 We are getting over 3,500 visitors every day, so you will get a lot of exposure for your services. IMPORTANT: Your profile will also be optimized so that potential clients in your local serving area will be able to find you when they search for your services = FREE local leads for you. 4) The minimum requirement to maintain your regular contributing expert status and activated profile is 1 article per week (if you have time, you are encouraged to write as many high quality articles as you can = even more exposure for you). Without getting too technical, each article you write will add "power" to your profile, resulting in higher search engine rankings and even more opportunities for leads. NOTE: After you have written 20 articles for our website, your profile stays permanently activated even if you decide to stop contributing for some reason. 5) All your writing must be original (meaning not published anywhere else on the Internet). You may re-use/re-publish any and all of your articles anywhere you want online or offline *after* they have been published on our website first. 6) Your name will appear on all your articles and will be linked to your profile. We will do some minor editing to the articles for search engine optimization purposes (because we want your articles to be easily found in search engines when people search for the topics = FREE worldwide publicity for your expertise). 7) The articles will contain how-to info, step-by-step instructions, lessons, ideas and expert advice (we will provide the topics). Feel free to browse this website to get an idea of the type of writing we are looking for. 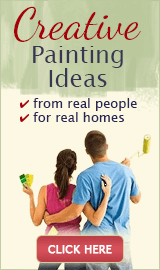 has extensive experience in home painting, faux finishing, paint color, interior design or decorating fields. has creative writing skills (you don't have to be a Hemingway but you do have to be passionate about your topic of expertise and be able to write about it in a clear teaching style). can commit to contributing a minimum of 1 article per week (specific topics will be provided by the Editor). No limit on the maximum number of writing assignments you can take. is able to meet deadlines. 1) Please use the form below to write a few paragraphs about your background/experience. 2) If you have done any writing (blog posts, forum posts, website content, articles, etc), please include the links.